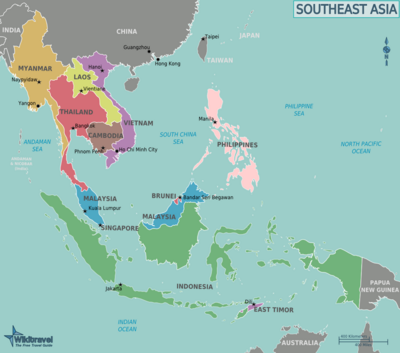 Southeast Asia is a group of diverse countries between the Indian Ocean and the Pacific Ocean, known for its beautiful beaches, tasty cuisine, low prices, and good air connections. 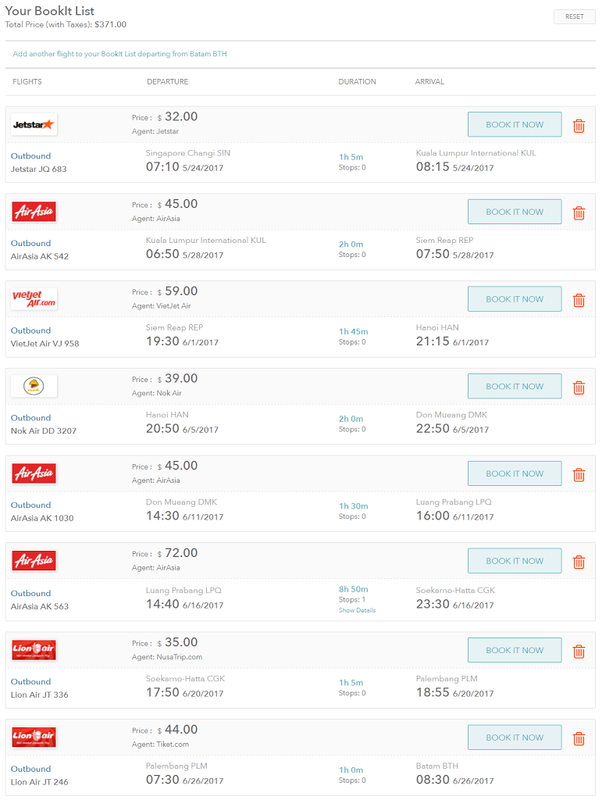 If you’re planning a trip to Southeast Asia and looking for the most economical flight route, SkySurf.Travel is the online tool you’ll need. In this blog entry, I will be building a flight itinerary composed of 9 cities (7 countries) in Southeast Asia for under $400! No mile points needed! For this example, I’ll be beginning my journey from Singapore. Anyone who has ever traveled to Singapore will tell you it’s a must place country to visit. Here’s 50 reasons Singapore is the world’s greatest city, according to CNN. 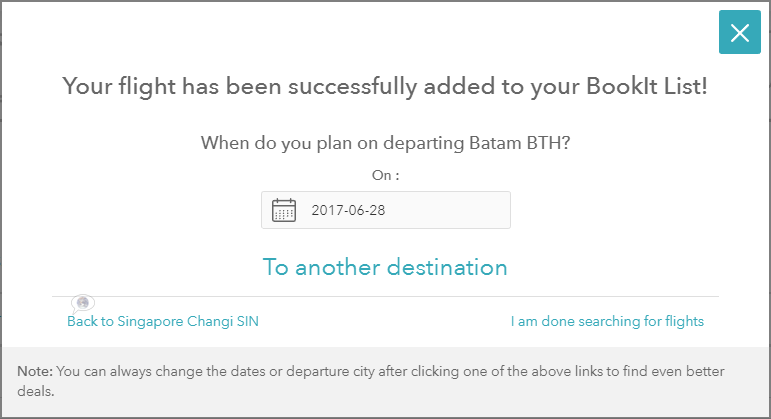 First I clicked on the “Multi-city” tab, I then typed in “Singapore” in the “Traveling From” input field, selected the “Depart Date” (in this case I’m pretty flexible, so I’ve selected “May 2017”) and finally clicked the “Search Best Deals!” button. Not bad? 9 cities in Southeast Asia for under $400. Try to see if you can beat this deal and post in the comments section below. Previous Previous post: Don’t know where to go on your next vacation? 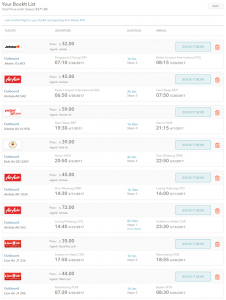 SkySurf.Travel is here to help you find the greatest flight deals. Next Next post: How to Travel the United States by Plane for Really Cheap. Fourteen States for Under $600.